About mid-June the constant San Francisco summer fog starts to make me a little stir crazy. I dream of island breezes and the ability to wear a summer dress at night. Or at all. Since I can’t actually afford an island vacation, I visit SF’s Polynesian themed restaurants and bars, sip a rum concoction, eat some Asian-inspired spare ribs, squint really hard and pretend that I won’t need to put my jacket back on when I head outside. To be clear: tiki culture has as much connection to actual life in Polynesia as Full House does to San Francisco. But we all like our escapist fun every now and then. So join me at these places where you can take a little cocktail vacation to the South Pacific, or at least a kitschy version of it. This place invented Tiki. Or, at the very least, the mai tai, for which I am forever grateful. With two Bay Area locations, you can check out Trader Vic’s in Emeryville or Palo Alto. Either one will give you the impression of warm tropical breezes and island well being. Go with the original mai tai or try the rum barrel for your group. Order up the appetizer platter to soak up some of that rum and enjoy the island ambience of this classic Tiki place. The Emeryville location offers fantastic views of the bay, while the Palo Alto location next to Dinah’s Garden Hotel offers a hidden oasis feel. Both provide the illusion of escape to the islands. For an upscale take on Hawaiian food, head to Roy’s, just south of Market. Sure they have the classic mai tai, but also have a whole host of slightly less sweet and more interesting cocktails. This is much more white tablecloths than crazy tiki gods guarding the doors, but its location makes Roy’s the perfect after work stop for a tiki cocktail. The shared canoe appetizer is fantastic, particularly the tuna poke, and the classic butterfish is delicious. Roy’s also perfected the chocolate lava cake, so if that’s not completely played out in your mind, save room. After a long urban planning nightmare where we thought this historic hotel tiki bar might close its doors, it looks like the Tonga Room is safe for the time being. So head here post haste! The best is to take advantage of their amazing happy hour on Wednesday, Thursday and Friday evenings. The appetizers and a cocktail are practically a steal. Stay a little past happy hour and find yourself grooving to the tunes of the floating band on the pool in the center of the restaurant and take in some of the best people watching in the city, as couples take over the dance floor, you witness awkward first dates, or tourists experiencing an odd little slice of our city. Elevating the tiki cocktail to an art form, eschewing the kitsch and bringing class to the Polynesian theme, Smuggler’s Cove is a welcome additon to the San Francisco tiki scene. The winner of copious awards, the smugglers at this cove mix a serious concoction. An inviting, multi-level space on a quiet part of Gough Street, the attention to detail, from the nautical theme to the specific glasses for each specific cocktail, let you know you are in the presence of something special. And if all these cloyingly sweet drinks aren’t your thing, try the bombo with nutmeg for a light clean rum taste. On the opposite of the spectrum from the fancier tiki establishments, check out The Bamboo Hut. It’s sort of a tiki dive bar. With a giant glowing tiki fountain by the front door and thatching through most of your site lines, this is the place to recreate that island party you found yourself at that one time. Sometimes you just want to share a giant flaming drink (the volcano bowl) with your friends and act like ‘vacation you’. This is your place. The Hut hosts a happy hour on Wednesday-Friday with $2 off tiki drinks and $3 off featured beers, making this a great place to stop to get your night started. Caveat: tiki drinks are potent. You’ll think, “This can’t be that strong!” Next thing you know it’s 2 a.m. and you’re hailing a cab with a faux flower lei. Not that there is anything wrong with that. Hawaii has fantastic plate lunches. It’s sort of their thing. Made up of your choice of meat on a plate with rice and macaroni salad, it’s the Hawaiian way. Keep the tiki-theme going during the day and head out to the Mission to Hawaiian Drive Inn #28 and grab yourself an authentic plate lunch. Do you have a recipe you want to share with the world? Share it with us! Your recipe might appear in a future issue, and you'll be the envy of all your friends. Something else to share with our editors? Give us your feedback, we're all ears. 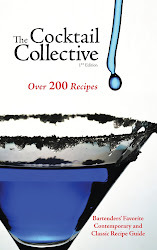 * Over 200+ recipes from today's cutting edge mixologists. 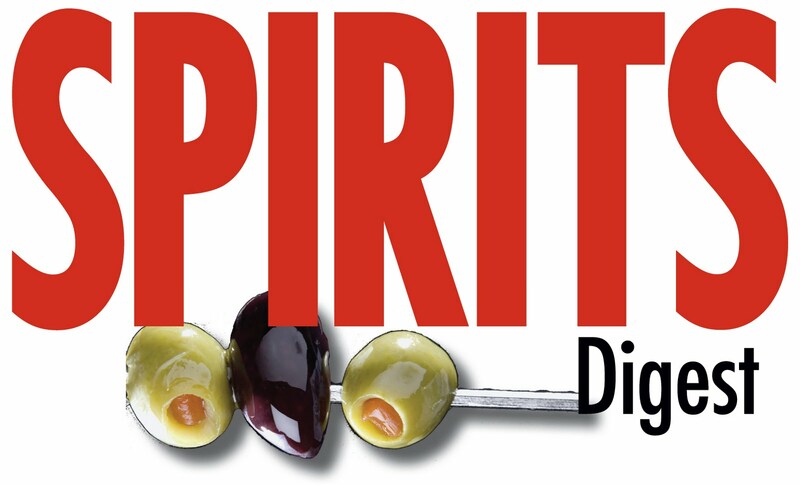 * Chapters devoted to Vodka, Rum, Tequila, Whiskey, Gin, Brandy and various other in-demand spirits. * "How-to" mix drinks like a pro! * Spiral bound - lays flat while you create! Hey - can I share a drink with my dog? Chambord Flavored Vodka - At last! Pucker up! It's Cocktail time! SK2R Publishing, LLC //. Simple theme. Powered by Blogger.